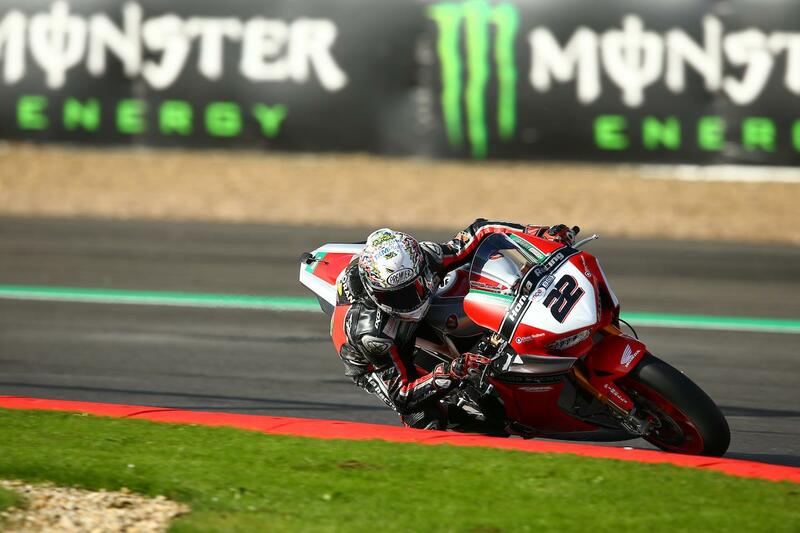 Jason O’Halloran will start this afternoon’s opening MCE British Superbike race on pole position after a dramatic qualifying session at Silverstone. With Friday wet, riders had only had one dry session on track this morning and even half of that was damp, leaving this afternoon’s qualifying a complete unknown with many riders having only done a handful of laps on the softer option Pirelli rear tyre and some even none. Jake Dixon joins the Aussie on the front row as he looks to move into the top six this weekend while James Ellison, who almost missed out on qualifying with a technical, will start third. Josh Brookes heads up row two ahead of JG Speedfit Kawasaki’s Leon Haslam while a rejuvenated Sylvain Guintoli starts sixth after enjoying his strongest qualifying of the year with Bennetts Suzuki. Peter Hickman starts seventh for Smiths BMW ahead of John Hopkins, who didn’t set a time in Q3 after a crash in the early stages of the session. Glenn Irwin is ninth after also failing to set a time in the final outing after an oil pressure issue with his Ducati Panigale R.
Drama struck for series leader Shane Byrne as he was dramatically knocked out in the second qualifying phase, he’d later report an issue with unbalanced wheels held him back. Bradley Ray starts 11th ahead of team-mate Taylor Mackenzie, while Showdown contenders Luke Mossey and Christian Iddon start 13th and 14th respectively.